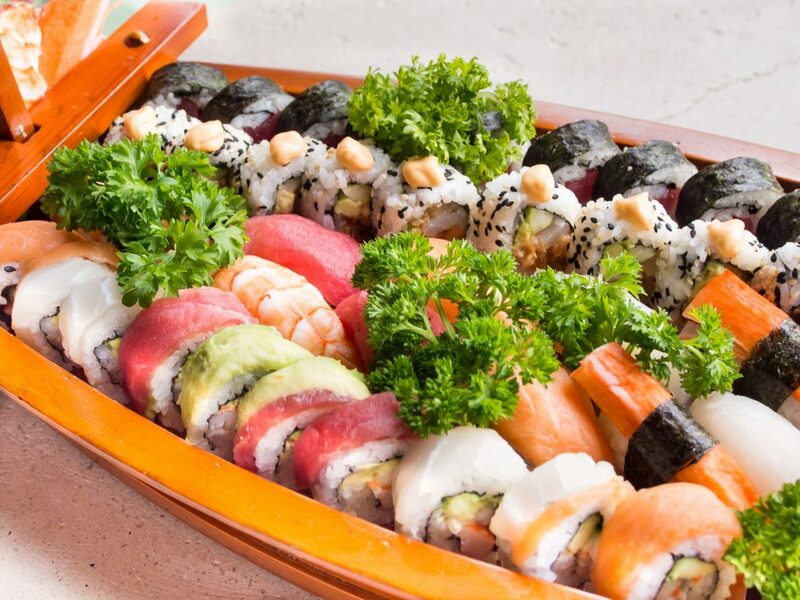 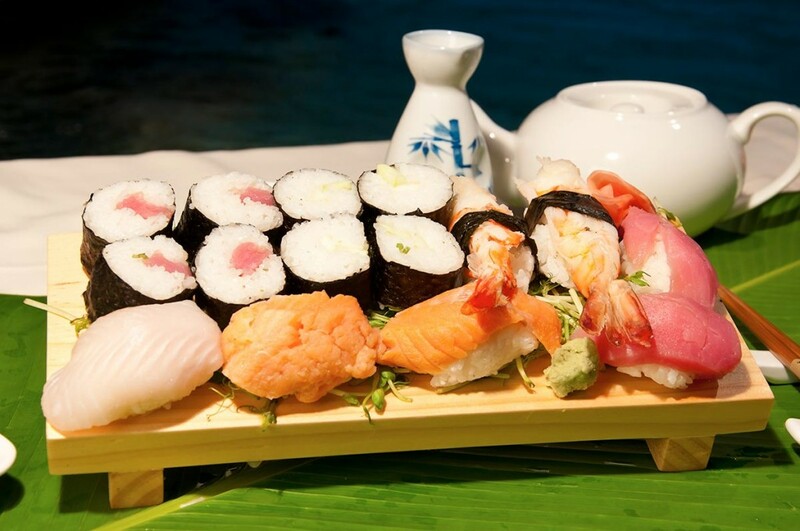 Sakana, means fish in Japanese, and is the perfect name for our fresh sushi bar. 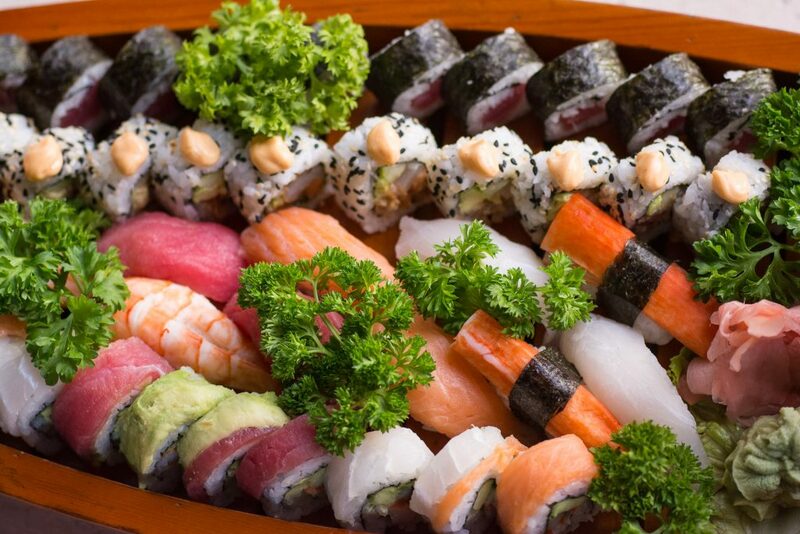 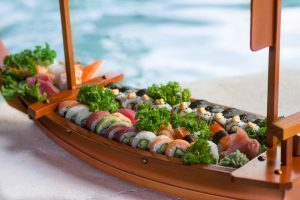 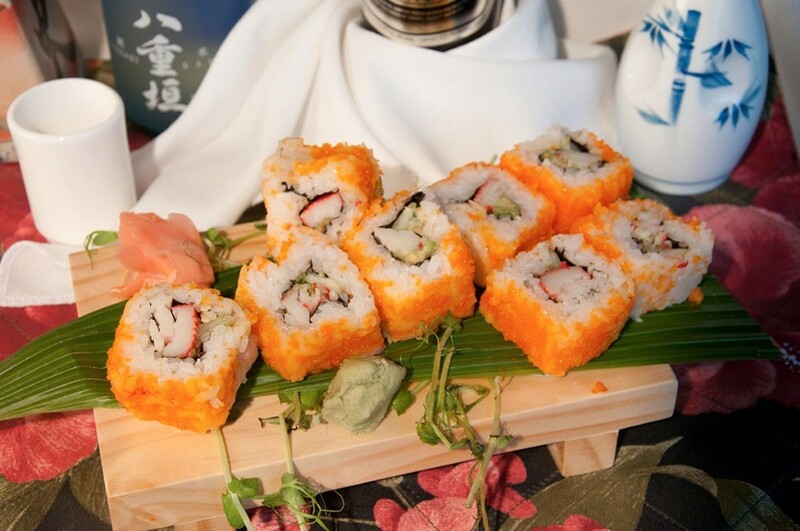 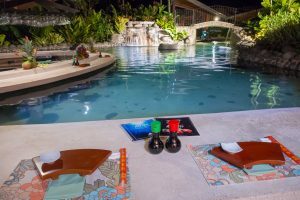 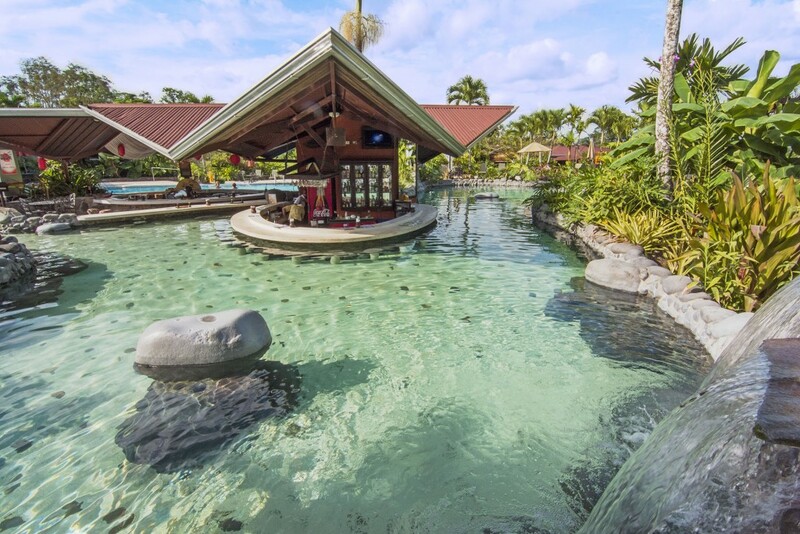 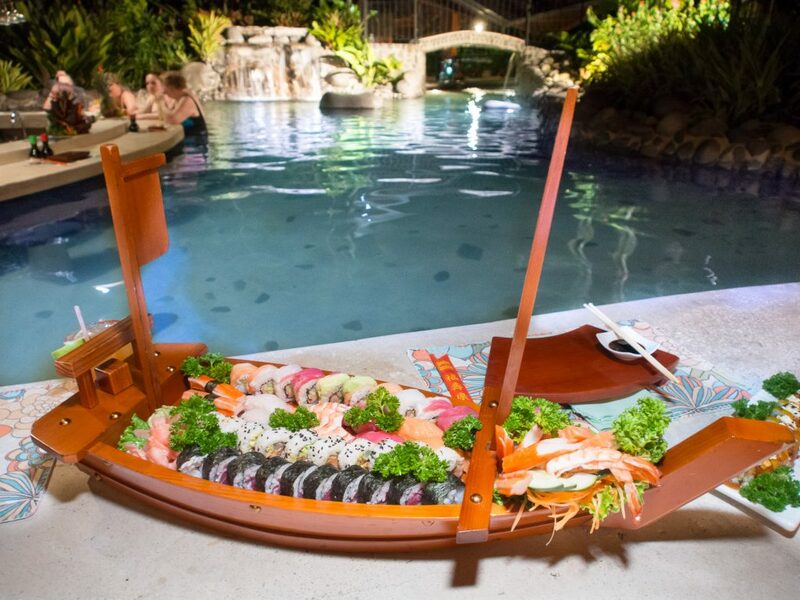 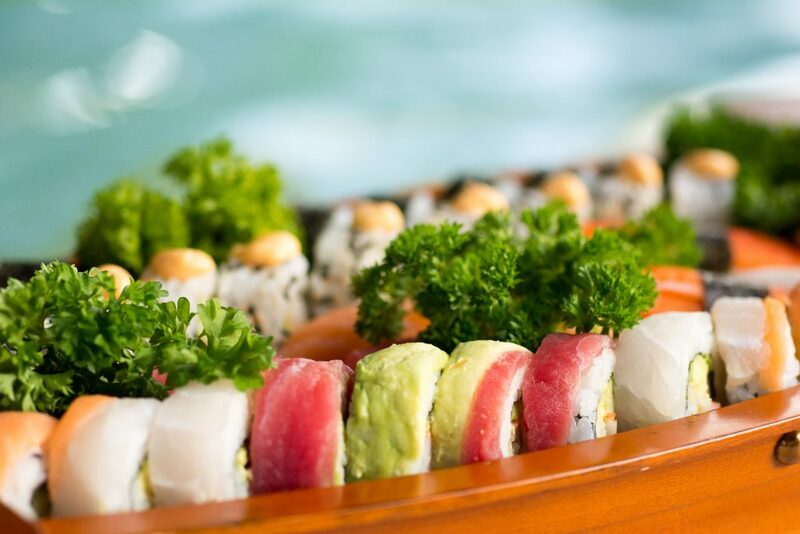 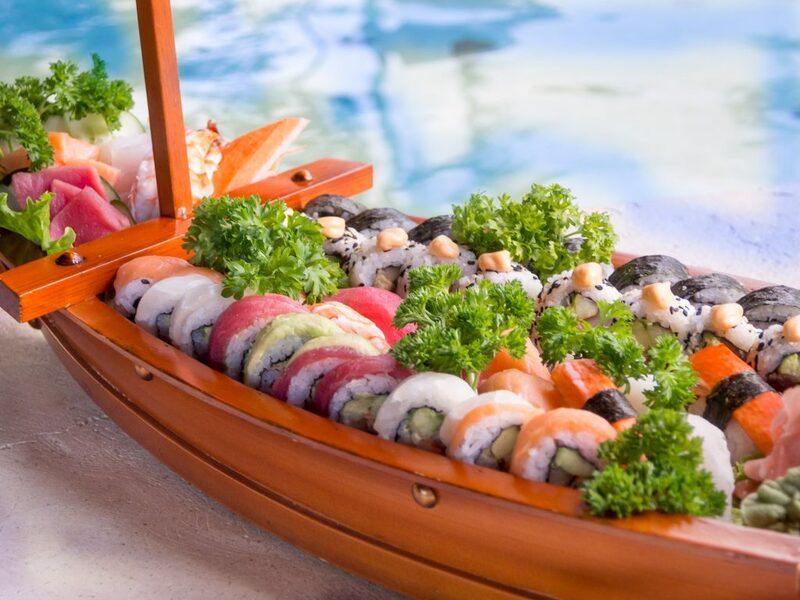 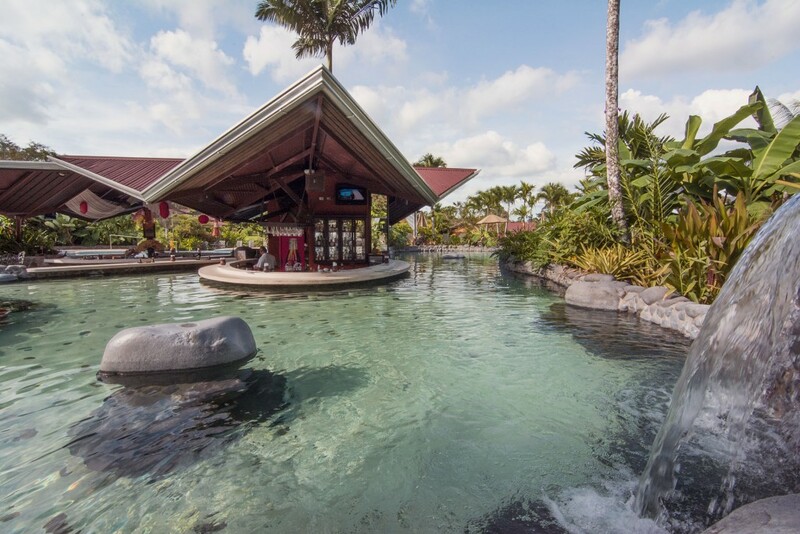 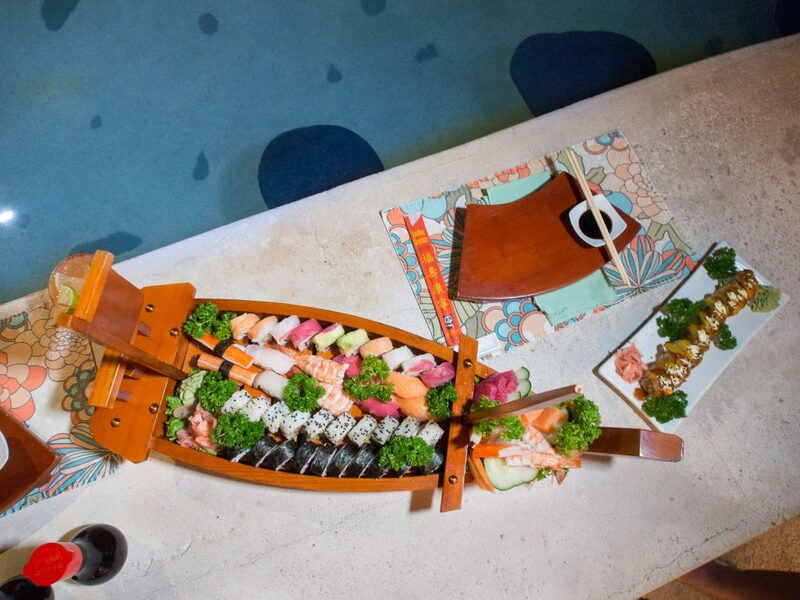 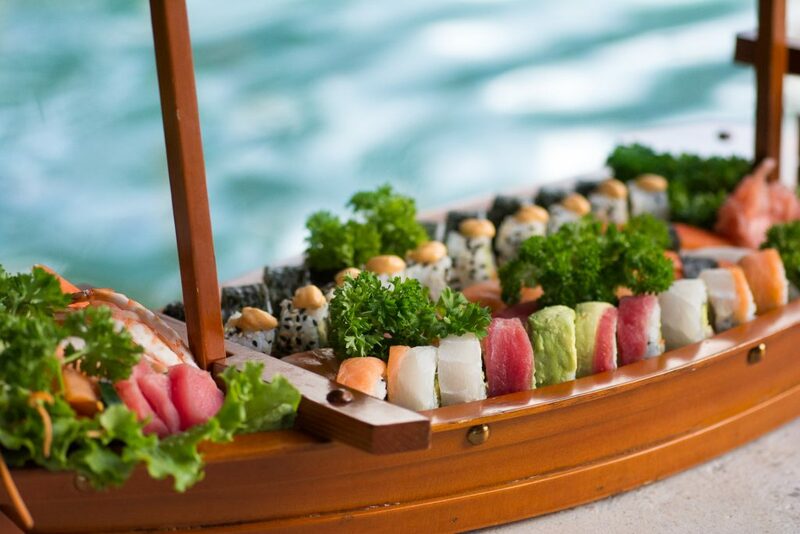 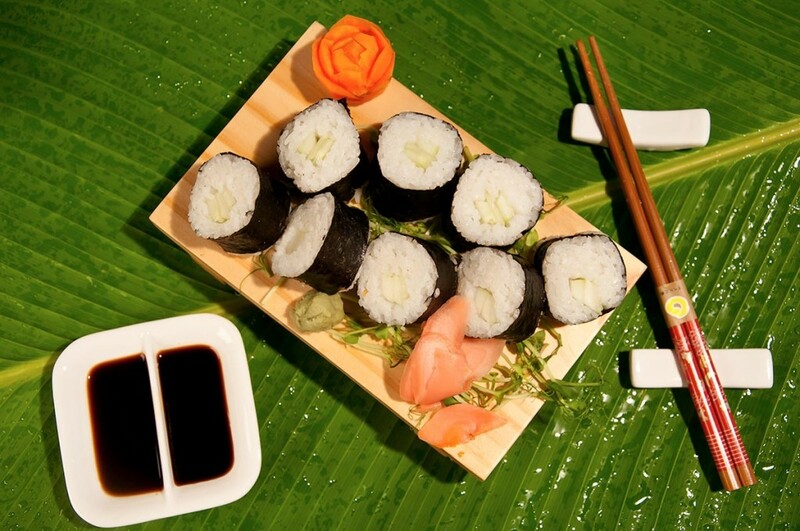 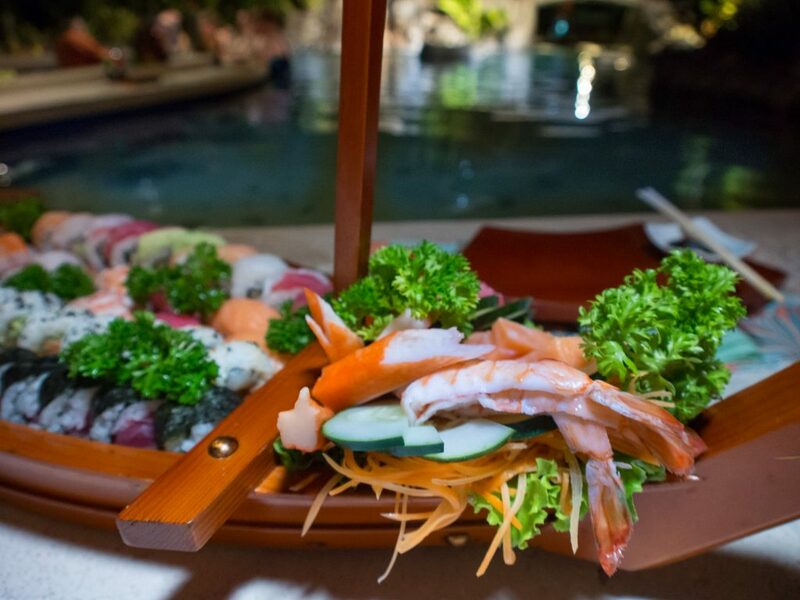 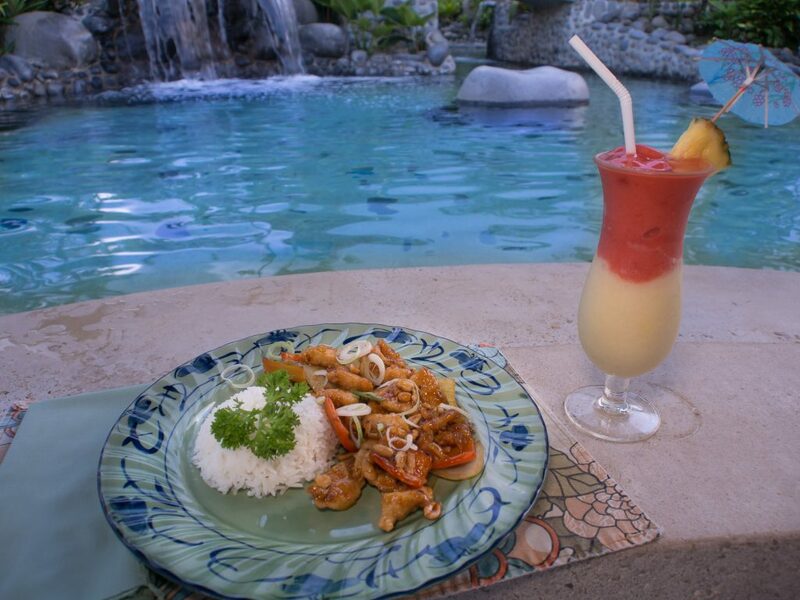 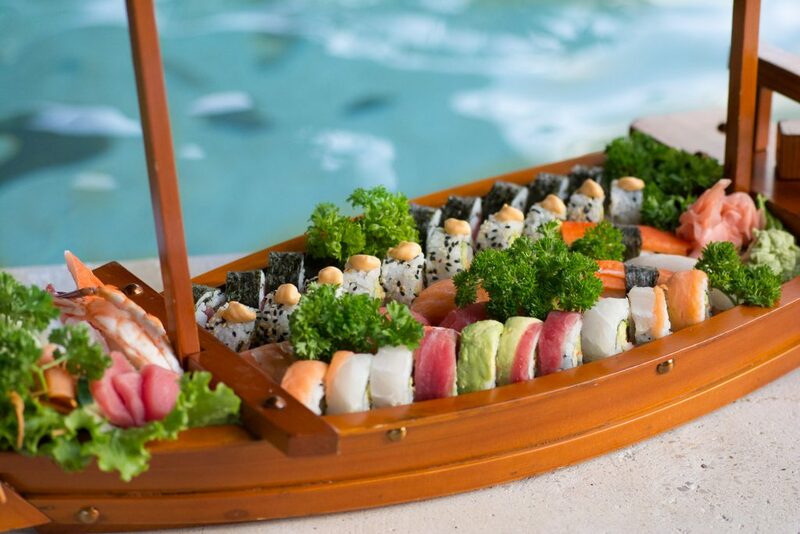 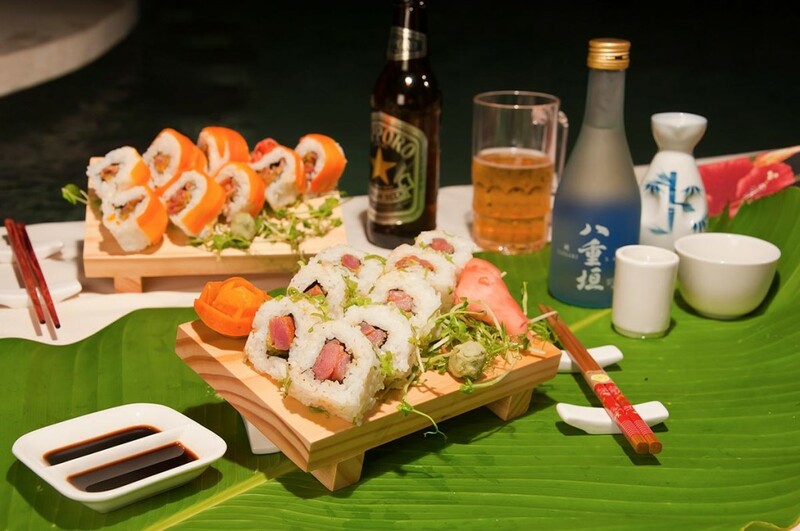 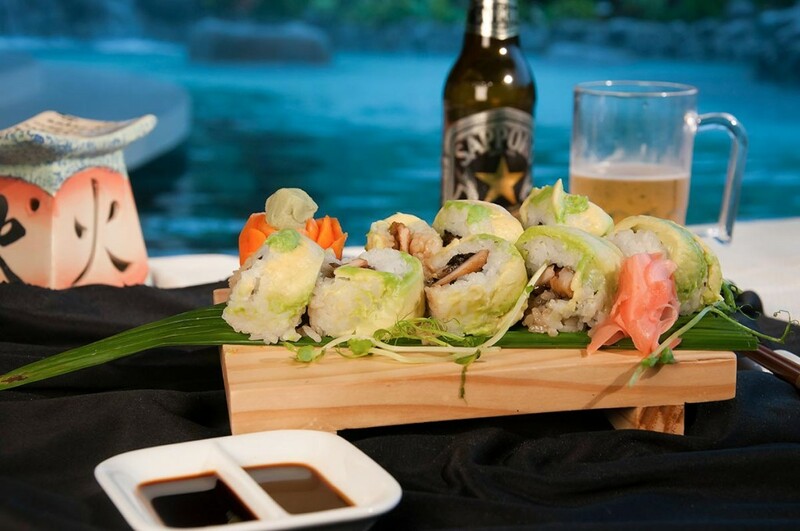 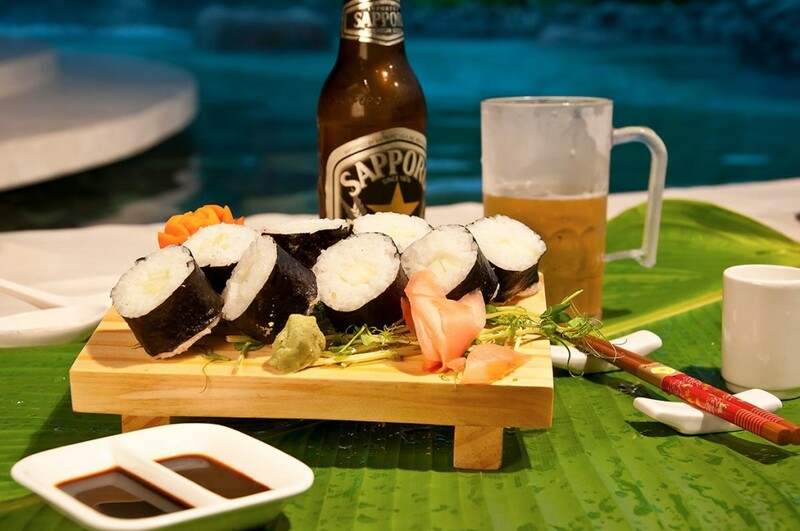 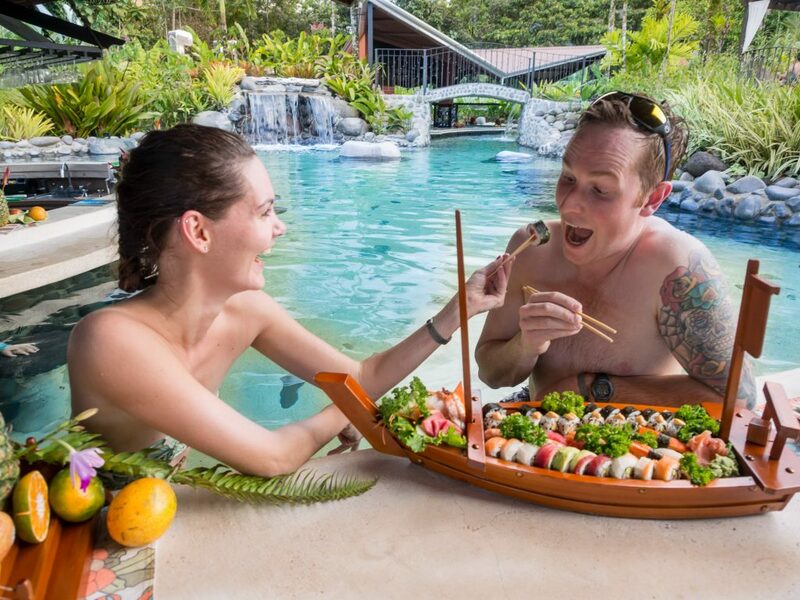 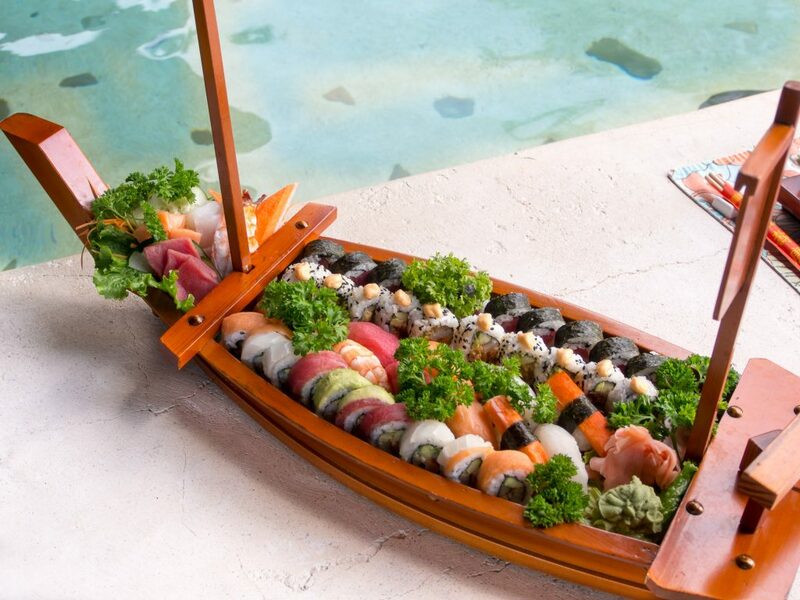 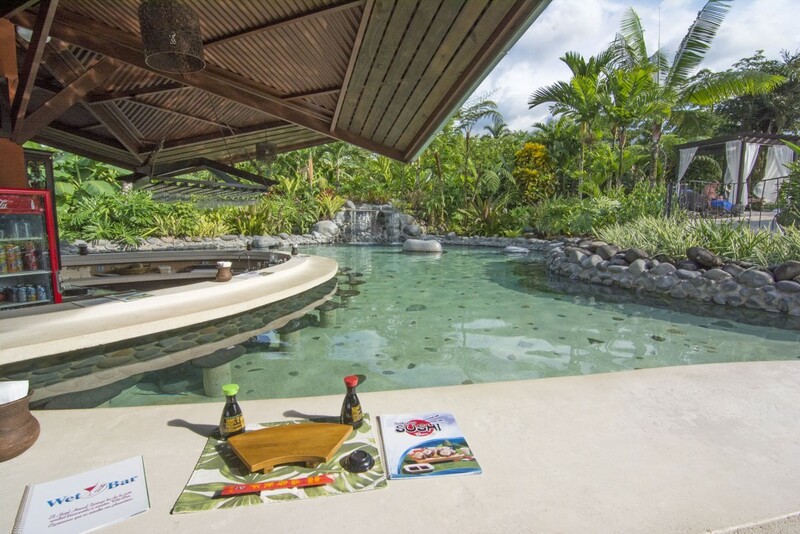 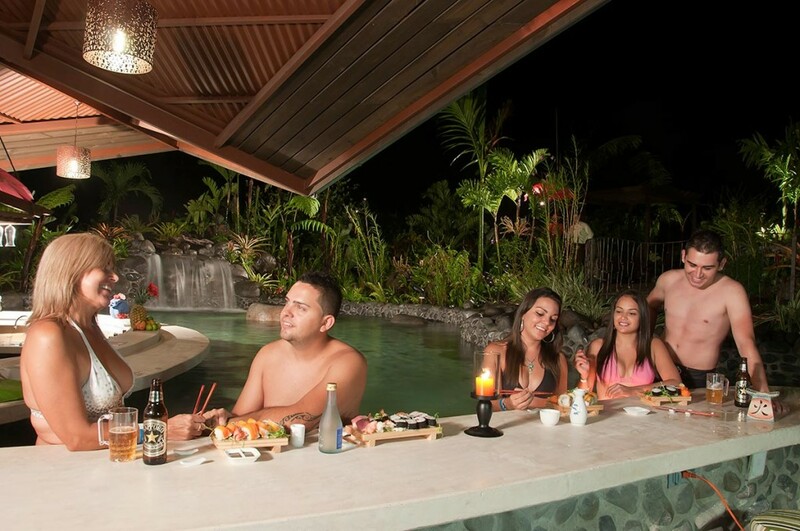 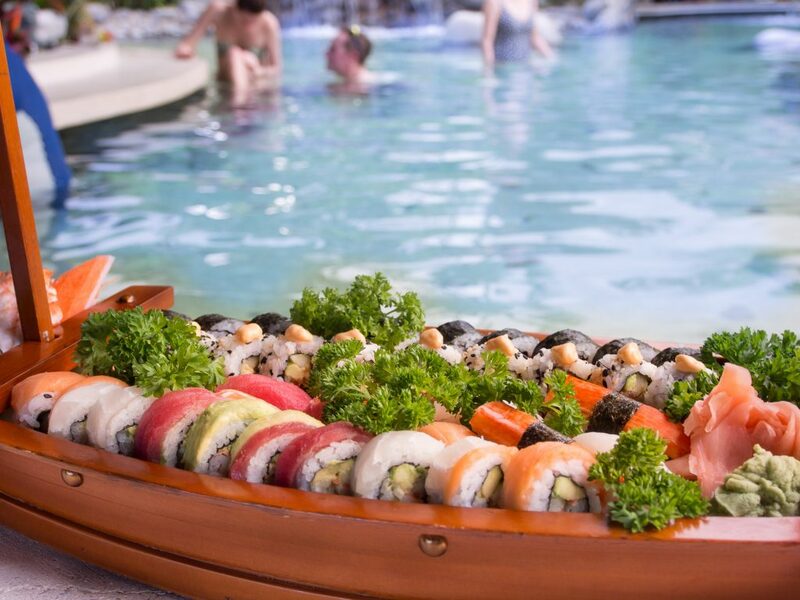 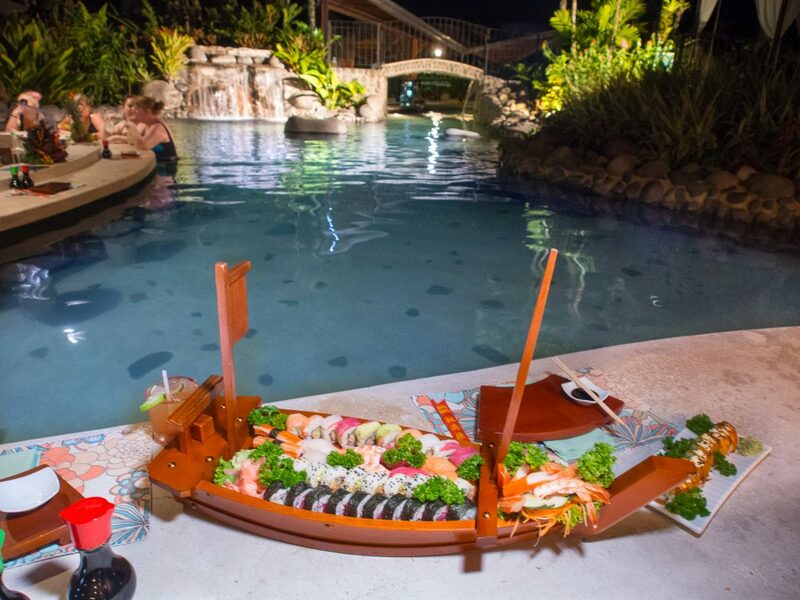 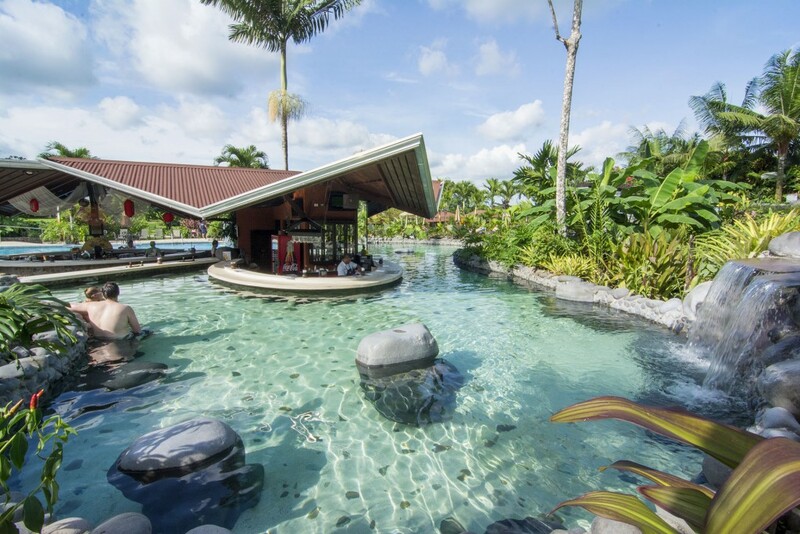 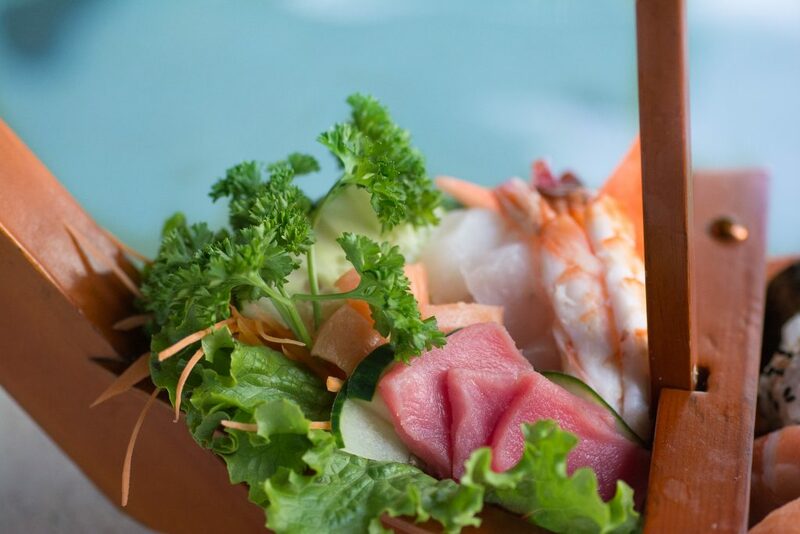 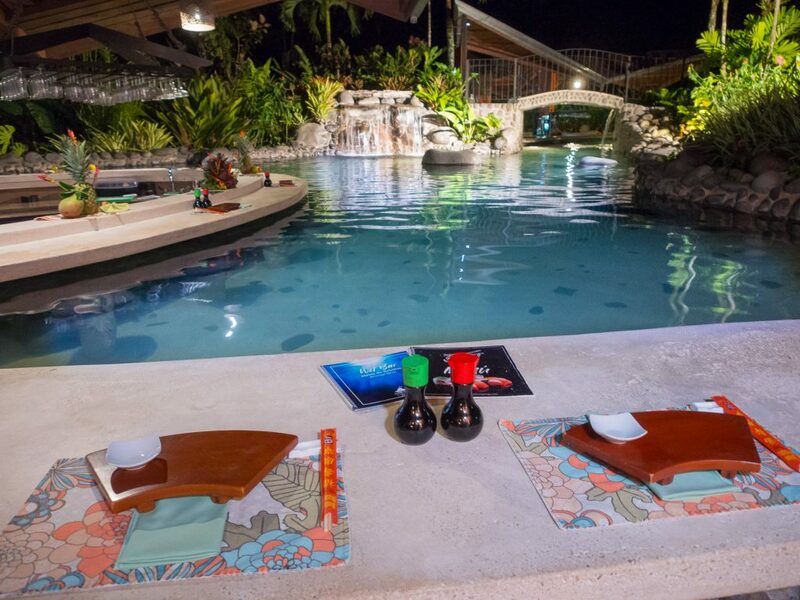 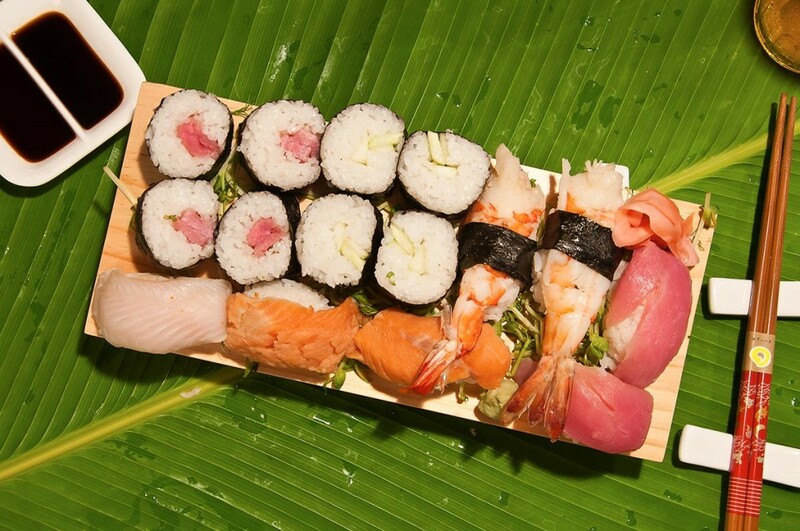 Located in the pool area, you can enjoy the finest sushi prepared for you by Chef Will, who is a true culinary artist. 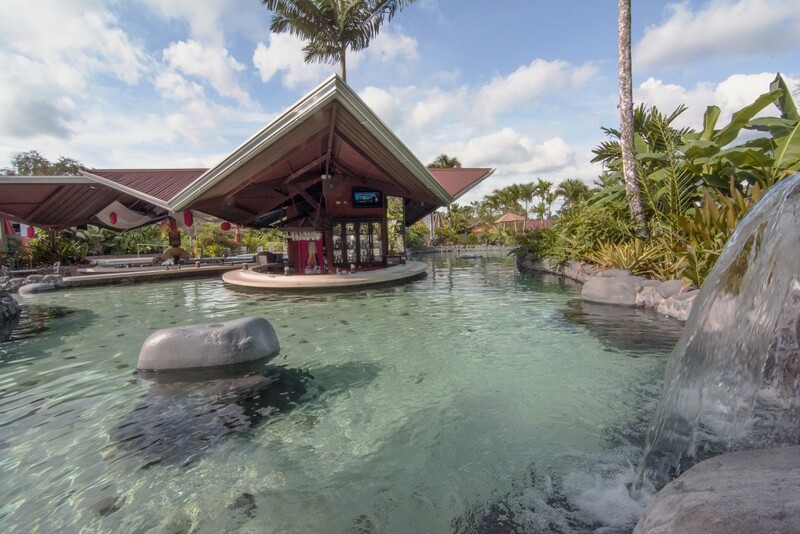 Located in the pool area. 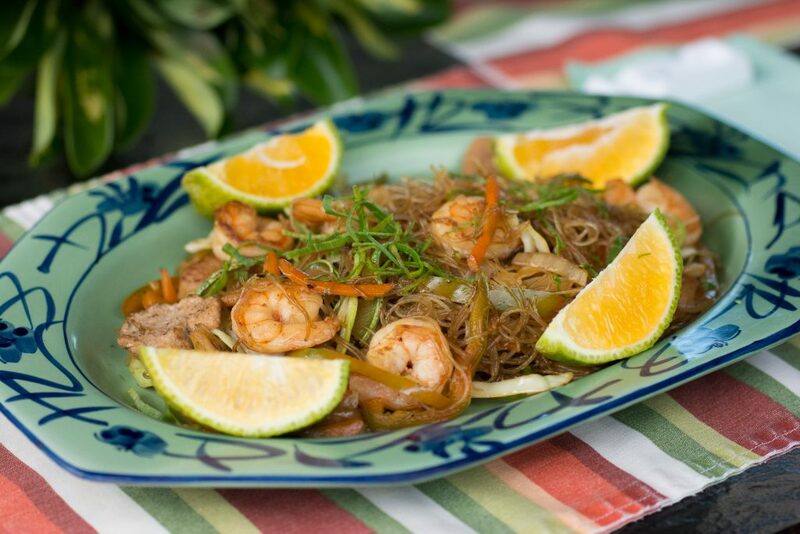 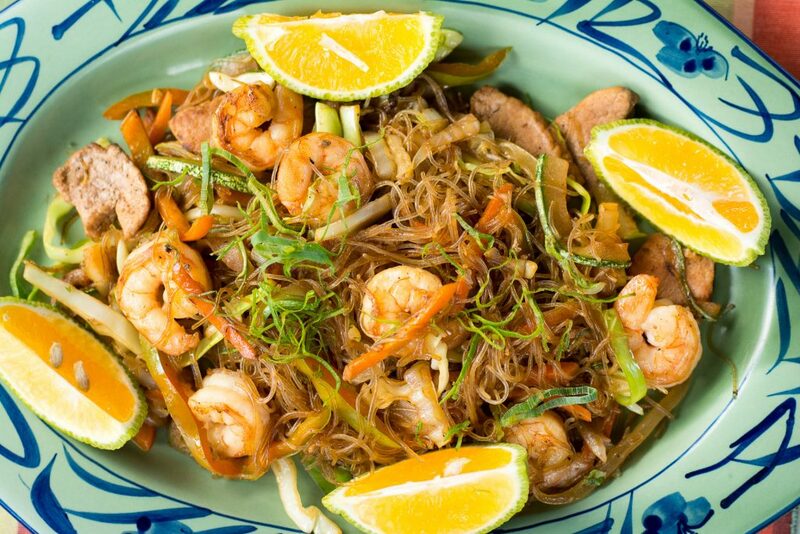 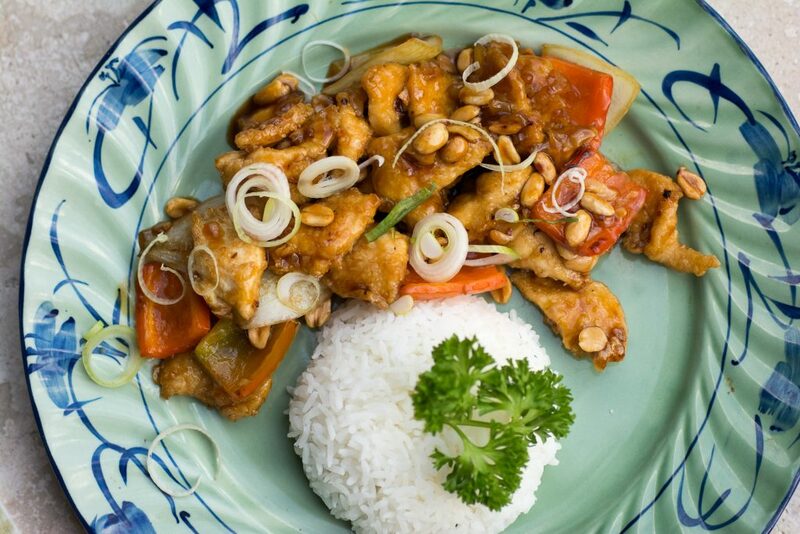 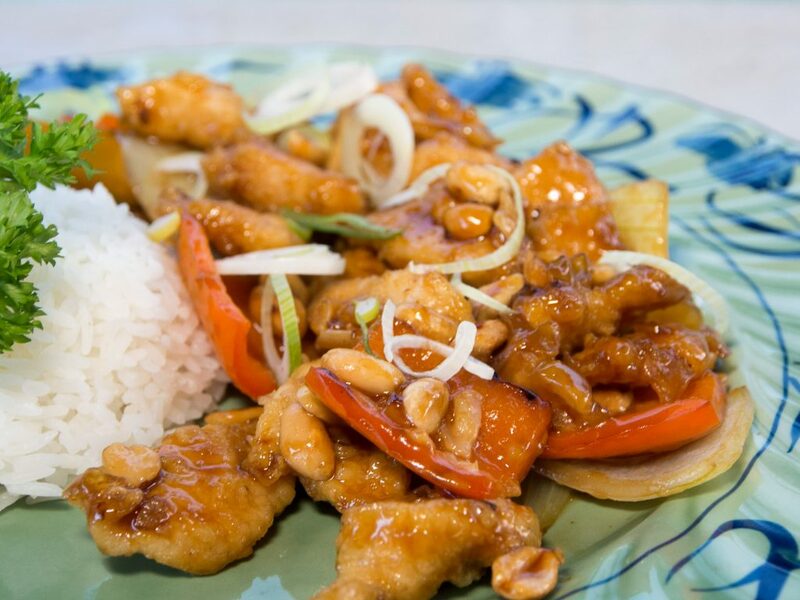 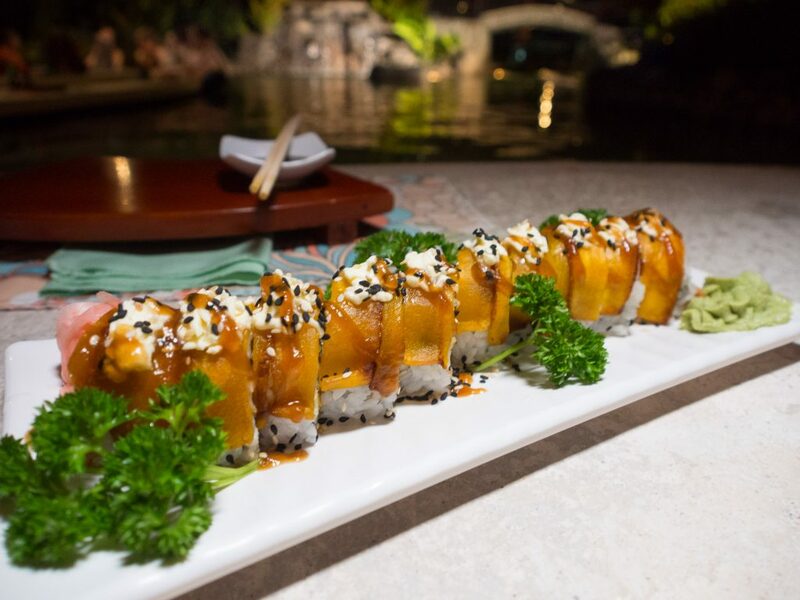 These dishes are not only scrumptious, but beautiful as well. 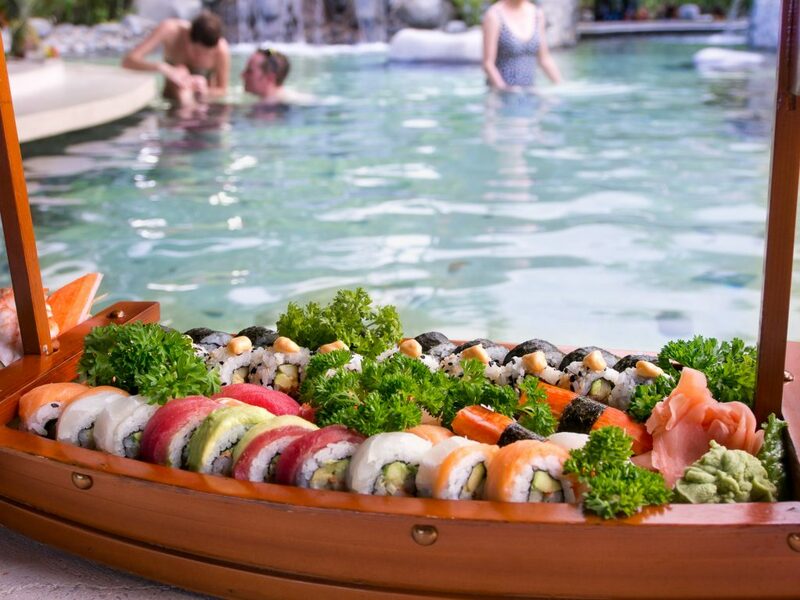 We serve these pieces of art, both, at the wet bar while you soak in our amazing hot springs, or from the sushi bar seating on dry ground. 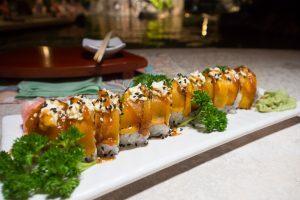 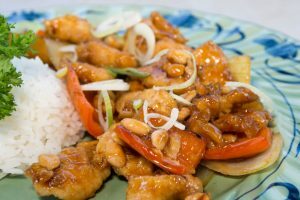 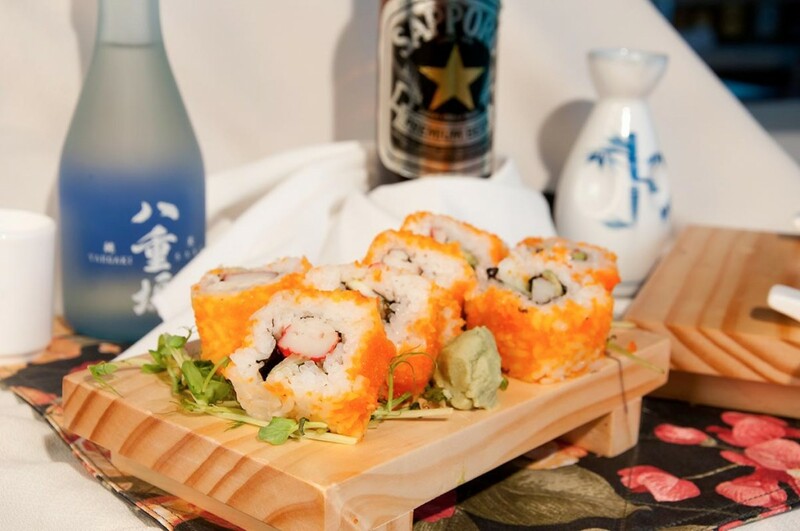 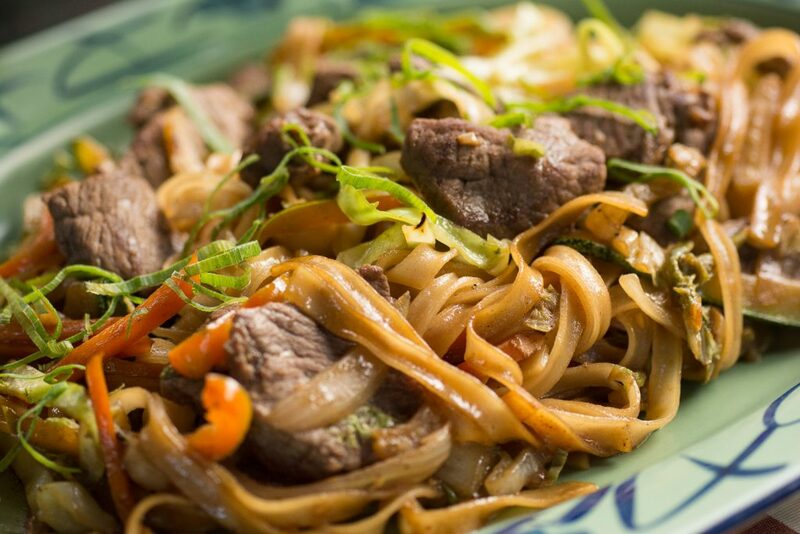 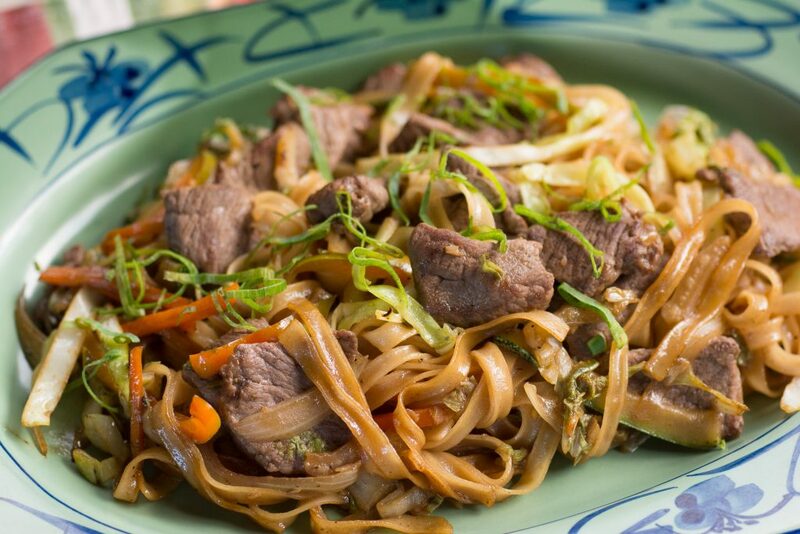 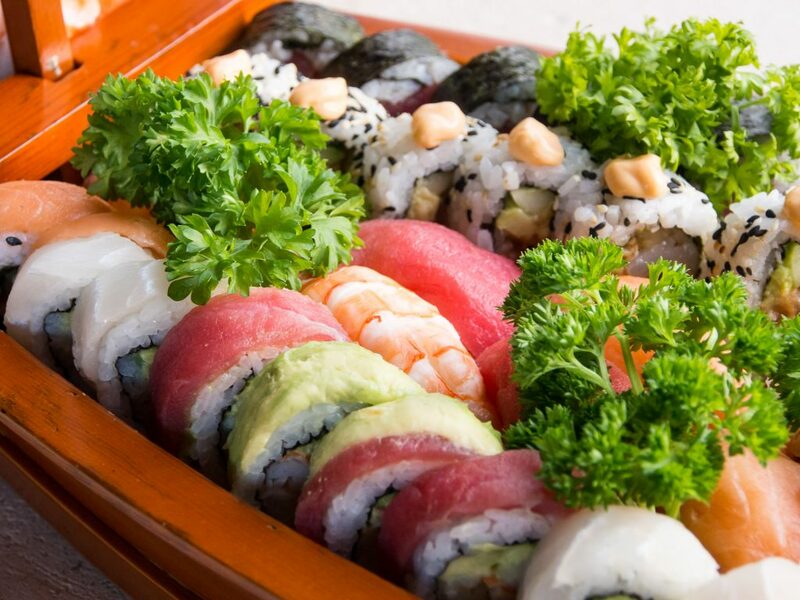 Try our unique recipes like our Springs roll, traditional favorites like the California roll and Avocado roll, or one of our authentic Japanese salads or pastas. 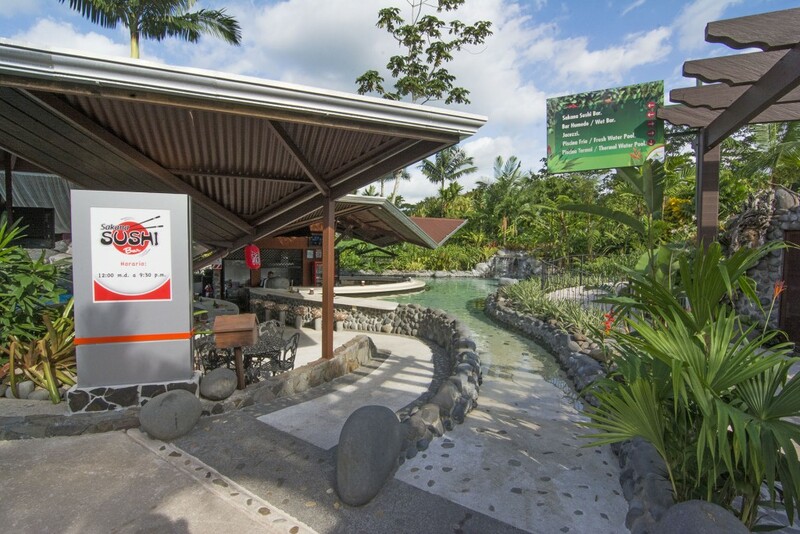 Open from 10 am to 9:30 pm daily. 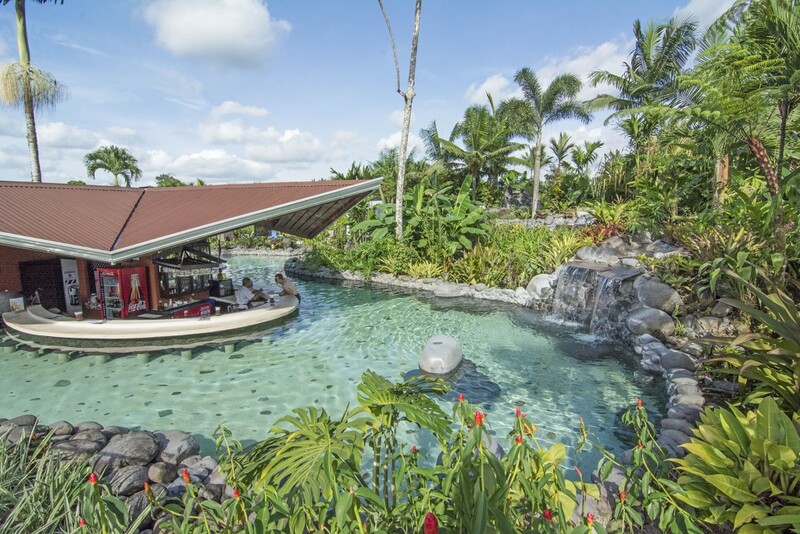 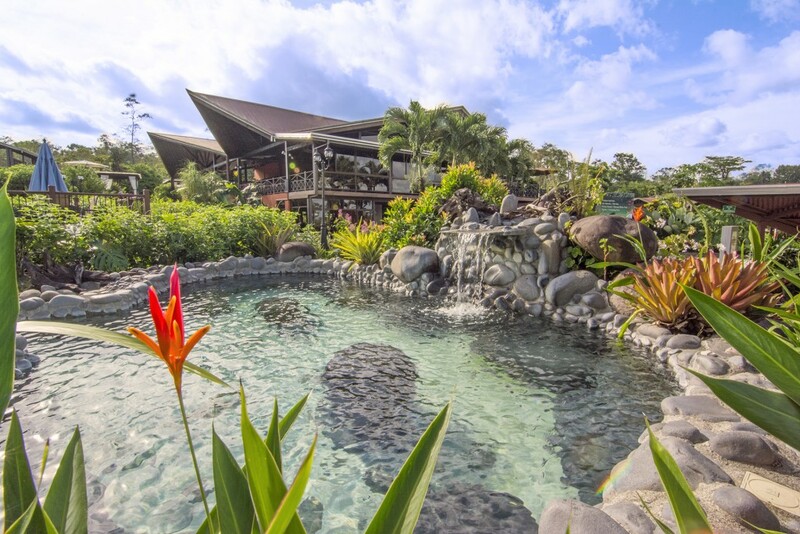 At Arenal Springs Resort, we believe that we are all citizens of the world. 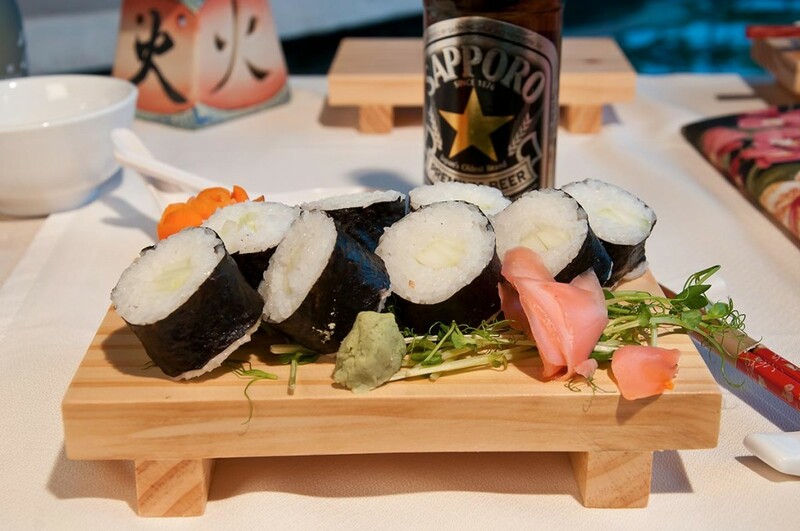 We love to meet people from every country and discover the things that make their culture unique. 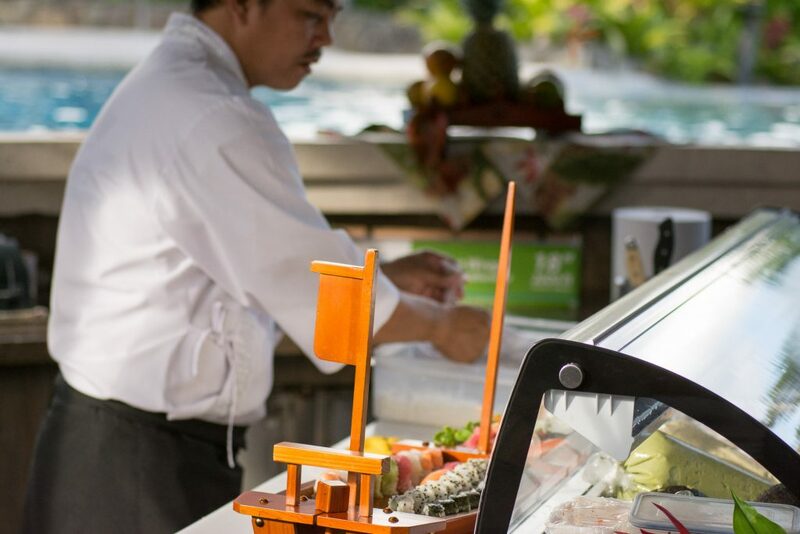 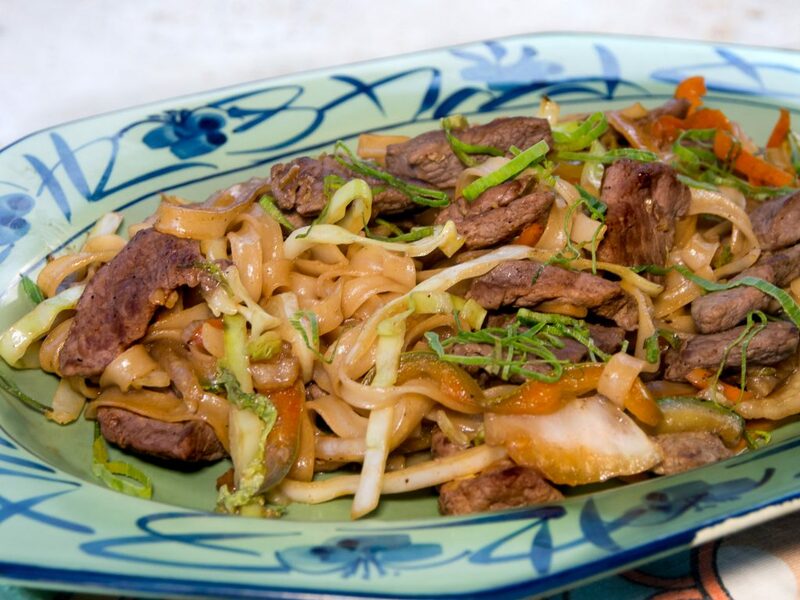 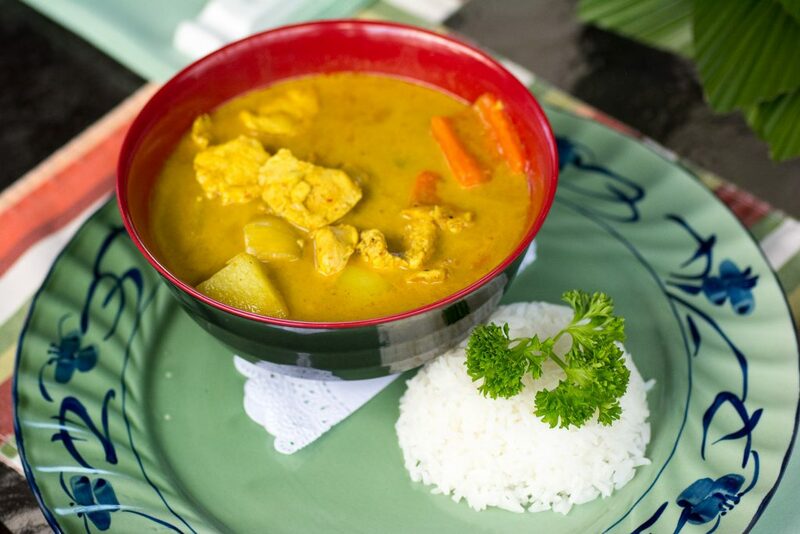 That is why we have also chosen to highlight some of the amazing gastronomic wonders from several different parts of the world in our restaurants, and we invite you to try something new.